Today, Vimeo announced two social distribution tools designed to help creators expand their audience while simplifying their workflow. First, the launch of Simulcast allows live events to be simultaneously streamed from the Vimeo platform to multiple destinations including Facebook, YouTube, Twitch and Periscope. 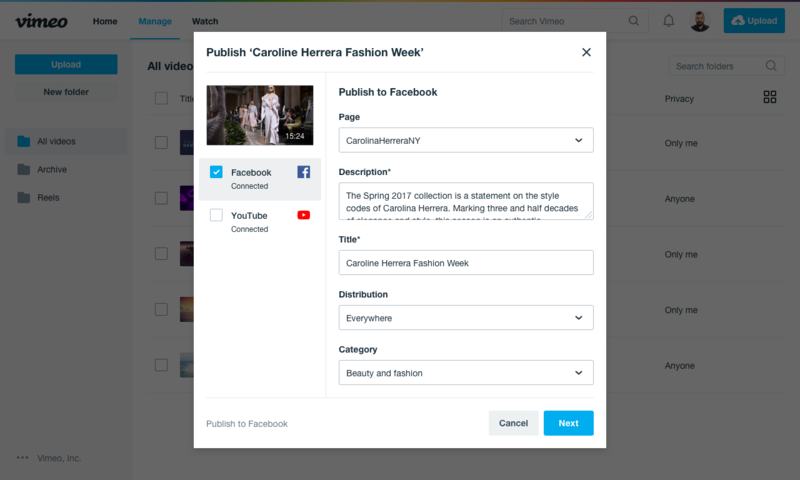 Second, Vimeo's Publish to Social feature allows creators to natively publish their videos to Facebook and YouTube with just one click. Both features are available to members of specific paid Vimeo plans, with more social platforms to be added in the coming months. 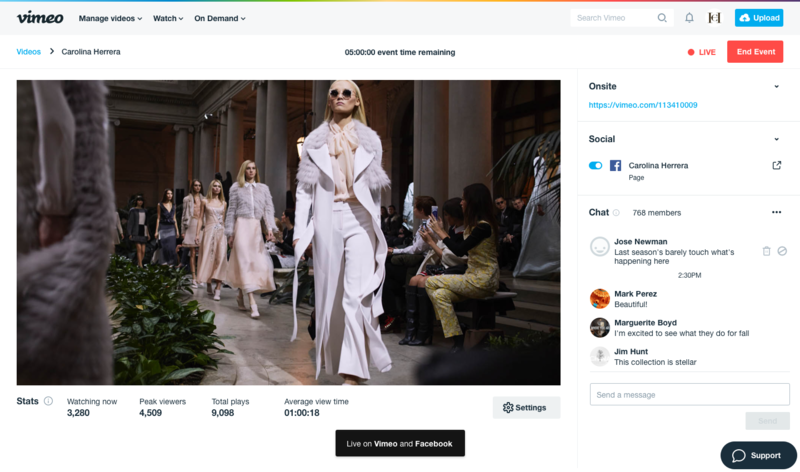 More viewers, higher engagement: Ability to simultaneously live stream events directly from Vimeo to any RTMP-enabled destination (including Facebook, YouTube, Twitch, Periscope and more). Creators can now stream to multiple destinations from a creator’s website to their social pages to expand audience reach. Saves bandwidth costs: With Simulcast, live events streamed to multiple social platforms require a single input stream, as opposed to separate streams for each destination. This means less bandwidth costs and a simpler workflow, especially for events where bandwidth uplink is limited (like conferences or an outdoor event). Simplified workflow: When the live event is complete, the stream is automatically archived on Vimeo, so creators can manage, review, or share high-quality post-event videos. 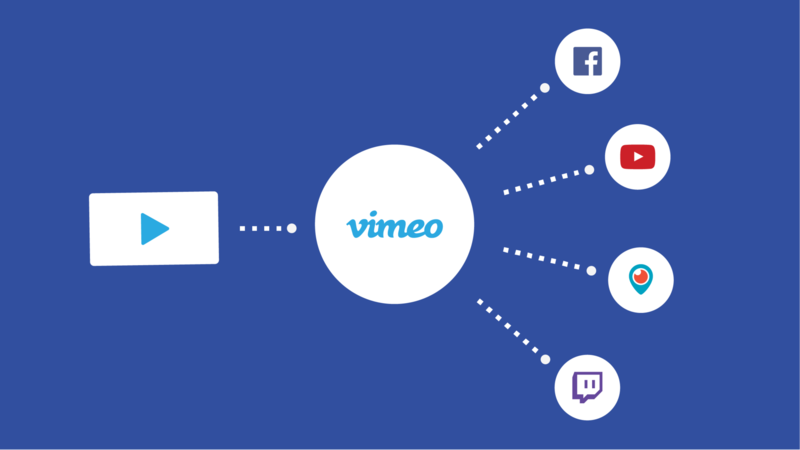 Single distribution hub: Creators can publish their videos directly from Vimeo natively to other social platforms (including Facebook and YouTube), with just one click. Instead of having to upload videos to each social platform separately, creators now have one home where they can manage their entire distribution strategy. Increased audience reach: Since social platforms like Facebook favor native uploads, creators can gain better visibility and higher audience exposure on those sites. Stats and performance dashboard: Ability to see side-by-side stats for each social platform (including plays, likes, and comments), so creators can track how their videos perform across the web. For more information, visit the Vimeo blog.